12x Wide-Angle Optical Zoom and 28mm lens with Optical Image Stabilizer reduces camera shake so you achieve brilliant images whether you are up close or far away. 14.1 Megapixel image sensor and Canon DIGIC 4 Image Processor delivers stunning quality images. 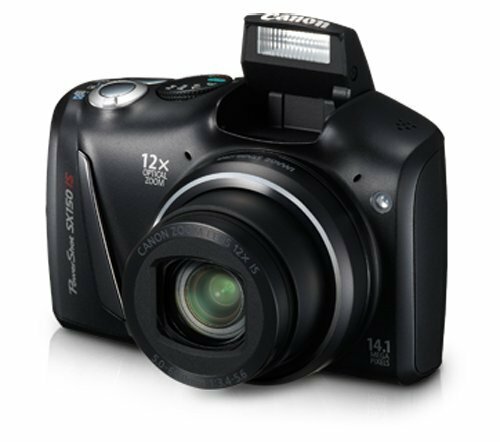 Improved Smart AUTO intelligently selects the proper settings for the camera based on 32 predefined shooting situations. Capture breathtaking 720p HD video in stereo sound with the dedicated movie button and zoom while shooting. Intelligent IS automatically chooses from six different modes to optimize image stabilization for the shooting condition. Large 3.0-inch wide LCD enables easy viewing. Movie Digest Mode records a short video clip right before shooting a photo and then combines one day’s worth of clips into a video. AA battery power provides added convenience.